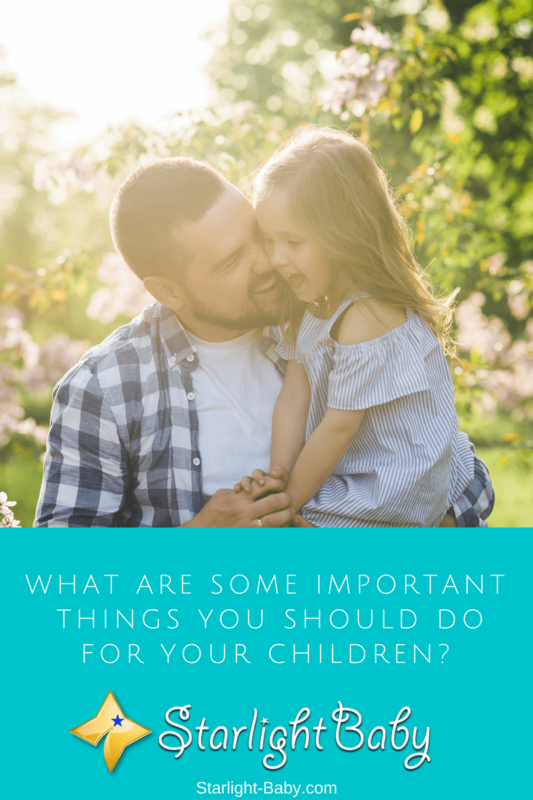 What Are Some Important Things You Should Do For Your Children? This was a reader-submitted question. To have your question answered for free, read through this post to the end! “Parenting is a very easy, care-free, and a less stressful job” – well, this is a common misconception about becoming a parent. Parenting is always about complexity, and it is never easy! Do you agree? To stick with a list of the most effective ways of parenting isn’t that effective in any way. Why? It is because one idea may be applicable to you but not to other parents. There are also some instances that you couldn’t apply a certain parenting idea at the moment, but you may find it handy later. Sounds tricky? Yes indeed! Raising kids and running a family is all about versatility, trial-and-error, spontaneity and continuous learning. The first most important thing in our to-do list is not directly for our kids but for us, adults. Establishing a good relationship with our significant other is the key to raising good children. While some may take this for granted, doing well with our relationship sets a good example in the eyes of our children. Upon observation, you will notice that even a minor misunderstanding with your partner greatly affects the way your children will behave. If they are exposed to cold treatments and quarrels more often, there is a huge tendency that they’ll grow up building conflicts with their siblings and other people as well. They may also tolerate unfair arguments and quarrels in their future relationships, as your relationship provides them with the expectations of what a relationship should look like. A happy couple often results to happier kids. A healthy relationship will often create a healthy and warm environment within our home. This positive home milieu is what our children tend to reflect in their way of thinking and behavior. With today’s fast-paced environment, we might find a busy schedule as an excuse for not giving sufficient time for our kids. However, this shouldn’t be the case. Even the busiest parent on earth can offer a couple of minutes spending quality time with his/her children. That is if they really want to. As the saying goes, “If there’s a will, there’s a way.” We can apply this to our everyday living and be mindful in sparing some time to have fun or relax with our family. Always remember that quality is better than quantity. You can think of a lot of ways to create quality activities that you can enjoy together as a family even in a small amount of time. It increases the child’s sense of self-worth and confidence. It offers time to release stress and relax. It encourages children to open up to their parents. It helps the family grow closer to one another. It has positive effects on your work and your children’s studies. Listening to our children’s concern is a big deal to them. Be it as simple as dropping a coin in a bin or a more complex problem like being bullied by somebody, our children need our attention in any way. It is important for parents to hear what our children are saying since we are the one whom they perceive as “heroes” that will help them overcome those problems. Also take note that there are times when your children wouldn’t speak up but imply through their actions that “there is something wrong”. It is critical for parents to know the implications behind a sudden shift in our child’s behavior since it may turn out to be a more serious concern that we must promptly address. Letting our kids know the value of responsibility early on will help them become responsible adults later on. According to Dr. Norbert Herschkowitz, co-author of “A Good Start in Life: Understanding Your Child’s Brain and Behavior”, children learn the sense of responsibility by completing household chores and letting them be part of the team. We may start with simple tasks such as pouring water into a plastic cup, wiping their own table or folding small towels and handkerchiefs. A three-year-old toddler may not manage to perfectly do these tasks for the first time, but you’ll be surprised that in a matter of weeks, this little kid will be able to perform tasks in a neater, more organized manner. Along with teaching them how to become responsible kids, we must also remember to offer compliments for a job well done. Children look forward to being given credits for what they’ve accomplished and a few words of positive encouragement would mean a lot. Finally, setting up an early bedtime for your children is equally important. Sleep is a basic necessity and it allows a child’s body to rest and regain energy for the next day. A sound sleep would also promote a relaxed mind which is prepared for some new learning opportunities the next morning. A good night’s sleep also prevents children from becoming too irritable and restless by the time they wake up. An early bedtime also has additional benefits for parents. When the children are already asleep, parents have ample time to relax and do personal stuff which they can’t sneak in during the busy day. Be it enjoying a much-sought bubble bath or reading a classic book, you are sure to appease that inner desire of having a “me time” when you put your children to sleep early. Would you like us to answer your question? Send it in by filling out the form here and if selected, we’ll let you know when it’s live on the site! In the meantime, please feel free to join our forum, where you can receive support and have discussion, as well as get answers from other parents just like you. Our community is pretty great, and we’d love to have you as a a part of it! Join for free by clicking here. I agree these are some important thing we should do to our children. Good provider, having a good relationship with your husband or partner is reflection towards the kids. Kids love to imitate their parents so it is important to have a good relationship. Listening and entertaining to children’s ideas makes them confident and trust you. They will feel the importance of their presence by allowing them to share what’s on their mind. Discipline accompanied by explanation and setting example will help them understand in easier way. You’re right about kids imitating adults, that is why a good husband and wife relationship is important. If the parents do not have a good relationship, I believe it affects the kids more than the adults. Some other kids even go to the extent of blaming themselves for their parents’ problem which is wrong. This is an eye-opener for me. Sometimes I can see that my children don’t understand what I want them to do. It gives me worries that we are unable to listen to our children and sometimes they may think that they are being neglected. When we both are doing our best to provide for our needs but it is a much more serious matter if we don’t know how we can have some time with the children. We are both already exhausted with work so we tend to miss having time with them. But still, we need to give time to talk with them and nourish their emotional growth with love. So they will see and feel that they are loved. Thanks for this very informative article. Really listening to our children is a must. Time and time again, I have caught myself only half listening to my boys, while I was doing something else. They all three love to talk and it seems that they always want to talk specifically to me right when I am in the middle of something. As a parent, it is hard to juggle parenting and taking care of everything else that is left for us to do. I have learned that even if it is an inconvenient time, I should always listen to my children. I’m also guilty of that, Michele. Sometimes, I even scold them for disturbing me while I’m in the middle of work which is not a good thing. So whenever they need to tell me something, I do my best to focus on what they’re saying. Indeed it is not easy, but they would feel ignored and disappointed if we don’t listen. Same thing with adults. We don’t like to be ignored. @jessym Your comment is well stated, children most times are very sensitive, so care must be taken with how they are talked to and the attention given to them. It better for a parent to make his or her child feel comfortable with opening up about themselves and what troubles them at home than going outside to do. All these will be determined by how these kids were treated in the first place, if they feel being pushed away, they are most likely to take to their heels and go right out the family and feel comfortable outside which is not a good thing for the child and the family as well. All of these are so true and important in raising a well rounded child. So informative! Our babies watch us. Our toddlers imitate us. They want to BE us! (well at certain points of their lives they do anyway lol) Every part of our lives that our child can see and learn from, they will. They never stop learning from us, even when they are well into their 20’s and older. Think about it, who did we go to for advice for just about every major life decision? If we were lucky enough, we went to Mom or Dad (our guardian, the person who raised us). If you look at the relationship you are in today, I’m sure you find similarities in your relationship and that of your Mom and Dad (step-mom/dad, grandparents, guardians etc.). Even if the relationship was/is bad, we tend to unconsciously find our “parents” in our significant others somehow. It happens. This is definitely a point in your post that stood out to me the most and I relate to the most, although all of your points were fantastic! Loving your blog! Thanks for sharing! You’re very much welcome, DawnsDivination. And thank you as well for your feedback. So true about us consulting our parents even when we’re already adults ourselves. That only shows the bond we have with them. And yes, there will be times when we can’t help compare our other half with our dad or mom. Most of the time, when the parents are a major influence in the life of their kid and have a strong bond with him/her, the child oftentimes would find a partner that emulates mom or dad. Their parents become their standard, nothing less. Generally, all these tips listed are could be categorized as a blueprint for any parent to raising their kids in the right manner. This is definitely going to be very useful and helpful to any parent looking to having a great kid, in applying most of this tips in their upbringing, it’s definitely going to bear positive results. Children are good imitators of what they see and hear, and this is why I actually agree with the tip on having a healthy relationship with your partner. This is among the first thing that makes your kid learn how to live well because they are certainly going to copy you both as they are growing up. So efforts must be made to feed them the right message from the relationship between the parents. Thank you very much for the awesome feedback, Martinsx. We hope you could help us spread the news about our informative blog. Truly, children are great imitators so parents should make an effort to maintain a harmonious relationship. If they have issues, they should never quarrel in front of their kids. Do it privately because it could harm a child’s emotional and psychological development. This is a very nice article on parenting, I enjoyed all the tips you gave which are of great importance to both single parent and married couples, parents needs to get this article to read because some don’t even know how to care for their kids. Am going to add my own contributions to this, in the little ways I understand it, I only knew how to parent when I was taking care of my siblings and nieces and nephews. One rule of importance that a parent should never miss is, the fact that they should always be there for their kids, so many parents forget their kids and get on with their penny chasing life. Children are emotional beings too, at this stage of their life they are emotionally dependent on you, that’s why parents have to always be there for their kids no matter how busy they are. Parents should always provide for their kids no matter how little they can give, they should try their best at giving and providing for their kids, parents should never show how broke they are to their kids this would encourage their kids to want to sow higher too. Parents should always notice those behavioural changes in their kids all the time, no matter what made their kid change to the society, a parent should be that superhero figure by swinging into actions to help out their kids every possible ways. It might be due to bullying that’s why your kids behaviour changed, you never can tell what they go through when you are not there, don’t encourage them to fight for their selves at this tender age rather fight for them to encourage them. And yes, a close monitoring of our children’s behavior is important because only then will we be able to see if there is something wrong with them – if they’re being bullied, doing drugs or have personal problems. This way, we can correct any possible bad behavior or attitude, or help them.